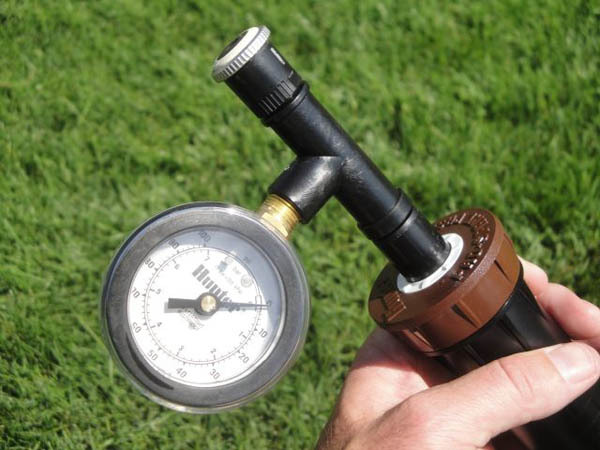 The distance of coverage for the MP Rotator is dependent upon incoming pressure. If you are not achieving the distance you desire check your incoming water pressure at the sprinkler head. If you are not able to adjust the radius down to low end of range, then the incoming pressure may be too high for the minimum desired radius. Use the Pro Spray PRS30 (PROS-PRS30) to maintain 30 psi (2.07 bars/ 206.84 KPa) at the MP Rotator nozzle for minimal radius options. Use the Pro Spray PRS40 (PROS-PRS40) to maintain 40 psi (2.76 bars/ 275.8 KPa) at the MP Rotator nozzle and for optimal performance and distance. Bold = Optimal pressure for the MP Rotator is 2.8 bar; 280 kPa. This can easily be achieved by using the MP Rotator with the Hunter PRS40 Spray Body, pressure regulated at 2.8 bar; 280 kPa. Bold = Optimal pressure for the MP Rotator is 2.8 bar; 280 kPa. This can easily be achieved by using the MP Rotator with the Pro-Spray PRS40, pressure regulated at 2.8 bar; 280 kPa.